A most special and unique camera which has travelled to the moon and also been back to the Earth safely has very recently fetched an astronomical price of around $760,000 at an auction. 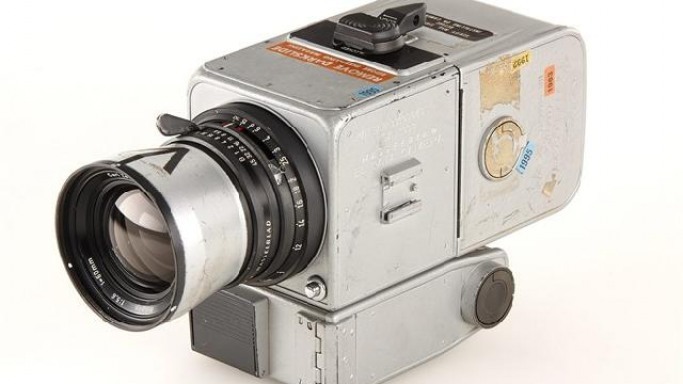 According to the Vienna auctioneers Galerie Westlicht, the Hasselblad 500 which was sold over the weekend has been part of the famous equipment which was carried by the 1971 historical Apollo 15 lunar mission. Interestingly it is only the fourth manned mission that successfully landed on the moon. According to a statement released by the auctioneers Galerie Westlicht, it has been claimed that the other cameras which were used to conduct important scientific experiments on the lunar surface have been reportedly left behind in order to make room to bring back collected mineral samples down to Earth. The camera in question seems to be the only one that was brought back to Earth on that particular trip. They have apparently even discovered that the current owner of the iconic camera is a Japanese businessman called Terukazu Fujisawa who is also reportedly the owner of several electronic chains. Interestingly when the bidding started, the camera was priced at a base level of approximately $110,000. But the current owner placed his winning bid of 550,000 Euros over the phone and managed to trump all bidders present at the auction room. However when the auction house spokesman Stefan Musil in his statement expressed his opinion that the Hasselblad is the only distinguished camera which has been ever brought back from the moon, quite a few experts put forward different arguments to refute Stefan’s claim.